A FuMPFest fundraiser CD is available for purchase. It is $20 for a two-CD set of over 40 live performances from last year’s FuMPFest. Two new acts have been announced for FuMPFest as well: Drew Jacobs and TV’s Kyle. Full list of guests on the site. Pre-registration for FuMPFest goes up from $35 to $45 on April 1st and the room block for the hotel closes May 19th. The great Luke Ski joins TV’s Kyle new show on Cartoon Network Might Magiswords as a Storyboard Revisionist. Here about it on Kyle and Luke Talk About Toons. Nuclear Bubble Wrap released a video for their song The Agenda. A little song poking fun at those who fear a “gay agenda.” It was animated by ThePivottsXX. Luke Ski released a video for his song The Twilight Zone too. It is about the TV show Twilight Zone, nothing about sparkling vampires. Bonecage has done more on his YouTube channel as well. Carla Ulbrich is using Indiegogo as a pre-sale to fund her next album. The album is written and mostly recorded already. Reward levels include skype guitar lesson, handwritten lyrics, concert in your living room, your name in liner notes, and a video of Carla singing, dancing, and raving about how great you are. Marc Gunn has a Kickstarter campaign for new steampunk album Dragons vs. Pirates. During February’s Album Writing Month TV’s Kyle wrote an entire album, recorded it, and now has it available for purchase. You can download it for only $5. Harmonix announced the release of Rock Band 4 and is requesting song. Now Devo Spice is trying to get his song The Dumbest Song on Rock Band on there, so he is asking for everyone’s help in requesting it. Go to the request page, put in “The Dumbest Song on Rock Band” for the title, “Devo Spice” for the artist, and then click Submit. The best known author of cosmic horror stories and the creator of the Cthulhu Mythos, Howard Phillips Lovecraft is perhaps the greatest of all horror fiction writers. His work has influenced many other writers, film makers, and game creators for decades, so is it any surprise that musicians also have come to be influcened by his work. 1. The Darkest of the Hillside Thickets is a Vancouver “punky surf” band whose lyrics don’t just make passing mention to Lovecraft—their entire existence seems to revolve around him. 2. Consortium of Genius gives us some old timey gospel music with What a Friend We Have in Cthulhu. Several fellow FuMPers appear on the track as well. 3. Jonah Knight takes the traditional “Swanee River” by Stephen Foster with alternate lyrics by H.P. Lovecraft. Calls it Old Folk Roam. 4. The Men That Will Not Be Blamed for Nothing has a little ditty about Cthulhu rising on a beach during a family’s summer holiday to the beach, Margate Fhtagn. 6. Even Gameboy musicians bow before the might of the Elder Ones, andaruGO spent six months creating a chiptune album inspired by Lovecraft, necronomitron α. 7. The H.P. Lovecraft Historical Society gives us Cthulhu Christmas Carols. 8. Tom Smith and the great Luke Ski combine Cthulhu and Lion King. I have nothing else to say except Cthulhu Fthagn. 9. Randy Clark has scored a number of Lovecraft films and a song called Cthulhu Blues. 10. There are some things man was not meant to adapt to musical theatre, A Shoggoth on the Roof was not one of them. Honorable Mention: goes to this list of H.P. Lovecraft In Metal Music, cause while Tolkien might be epic for metal, Lovecraft has the darkness and insanity you want. .
Madicon is a yearly gaming/literary convention run by the Science Fiction Fantasy Guild at James Madison University in Harrisonburg, VA. This year it is at the student center at JMU, March 8-10. The con has a number of panels, workshops, vendors, artists, many games, costume contest, a LARP, art show, video games, live bird show, and auctions (including the Geek Auction to buy live people) to raise money for the Wildlife Center of Virginia. Guests for the con are authors: Jana Oliver, Jean Marie Ward, Pip Ballantine, R.S. Belcher, and Tee Morris, plus makeup guest Megan Amberly, voice actor Jon St. John, the 501st Storm Troopers, combat groups Bridgewater College Comitatus, COMARR, and Silverdain. In addition some great music acts. The Music Guest of Honor is Johan Knight, who I have written about so much before. All I can really say is expect good music from him at the con. Once again he has three concerts, paranormal folk, creepy, and supernatural steampunk. Plus a chance to talk with him over a cup of coffee. There is also a several chiptune composers. : Cartoon Bomb, Datacats, and Inverse Phase. Catch the three all weekend at performances and panels. Madicon this year has two veterans of convention raves DJ Cutman and DJ Super Sonic. The rave is on Saturday night and will be filled with 8bit sounds and remixes of all kinds. Panels include discussions on what different sound chips in old school consoles, about releasing a cover album, learn to write your down chiptune music, and explanation on video games remixes and their scene by DJ Fayt. Of note, Tainted Reality will be selling Jrock CDs in the vendor room too. Very late in doing this but I still wanted to post it. MystiCon is a literary sci-fi con (plus fantasy, pop culture, steampunk, and more) February 22-24 at the Tanglewood Holiday Inn in Roanoke, Virginia. The Guests of Honor include Peter Davison (5th Doctor Who), Larry Elmore (D&D artist), Orson Scott Card (author of Ender’s Game), Tom Angleberger (author of Origami Yoda), Steven Long (RPG creator), filmmakers, podcasters, authors, artists, costumers, wrestlers, and more. Plus a number of music acts. The Con’s Musical Gust of Honor is Bella Morte is a gothic darkwave band. They are headlining Mysticon’s Musical extravaganza on Saturday night. Special Music Guest The Gothsicles are comedy geek industrial music group who are part of the FuMP. Catch them both Friday night and on Saturday as part of the Musical extravaganza. Devo Spice is a comedy rapper and FuMP core member. He is part of Saturday’s Musical extravaganza. He is also performing at Mysticon’s event at the Roanoke City Main Library on Thursday night. Jonah Knight has a different concert each day of the con. Each one shows off his different genre work, Paranormal Folk (Friday), Creepy Christmas Songs (Saturday), and Supernatural Steampunk (Sunday). Electronica composure Consortium 499 has created his own original score for the silent film Nosferatu, to watch and listen. His album Pageant and Ceremony of the Coronation will be available at a special discount price during the con. DJ Drae plays goth events, conventions, and provides music for Strange Aeons Productions’ LARP. He will doing a dance party on Friday night with a special light show by Eli Mayhem. Author, editor, music therapist, and musician Danny Birt has a performance and sing-a-long at the con as well. Other music related events include: Drum Circle on Friday and Saturday night, Belly Dancing workshops, SF Themes in Rock Music panel, Poetry/Filk Open Mic, and an hour with musician/author Gary Rinehart. The Clockwork Dolls formed in 2007 from a diverse group of theater geeks, side-show performers, and artist with the concept of creating theatrical, grand, epic music for people to enjoy focusing on bygone eras with symphonic rock. They released their first album in 2009 with Dramatis Personae. 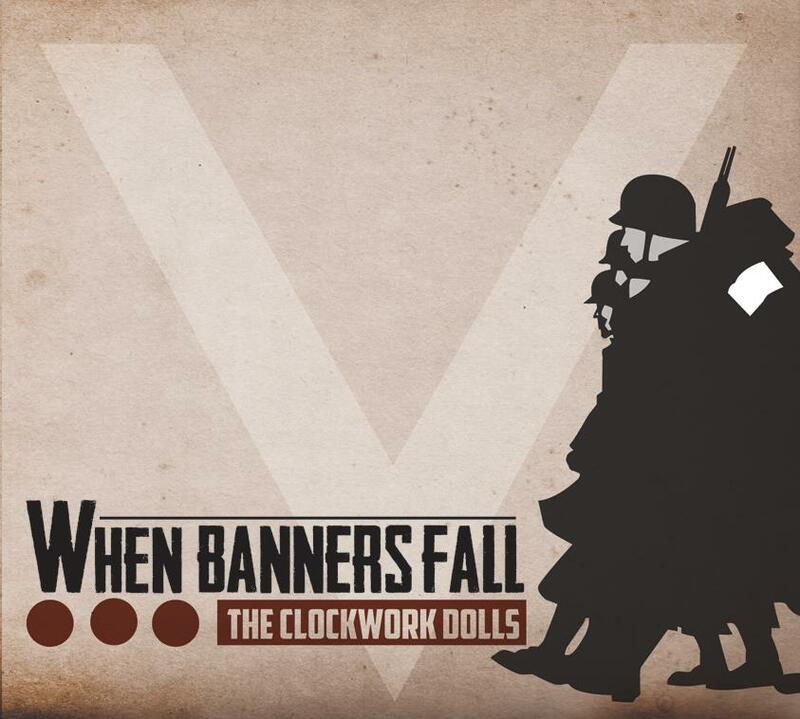 After three years of work their second album “When Banners Fall” was released. Inspired by World War II, with original tracks and speeches from Dwight D Eisenhower, Franklin D. Roosevelt, and Winston Churchill. The album is only eight tracks long, each of them a powerful orchestral sound and lovely piano work. The whole thing sounds like it is part of the soundtrack to some major motion picture with huge sweeping visuals and lots of emotional character work. The first track (The Great Crusade), third (This Poignant Hour), and fifth (May 4, 1945) are recordings from historical speeches with background music that lead into the next track. Second (Flyboy), fourth (Hold The Line), and sixth (When Banners Fall) tracks all are deep emotion tracks about different things of the war (air battle, holding out against the enemy, victory and what is to come). They are able to invoke both the romance and tragedy of conflict through both the melody and lyrics. A little hard to understand the lyrics the first few times through with the almost operatic way they are sung. The seventh track is a rendition of “The Band Played Waltzing Matilda”. Which although about WWI still fits with the feel of the rest of the album and actually my favorite track. Truly heartbreaking sounds the way the song has no instruments being played just Colette Lovelace pouring it all out into this simple tune. The final track is a complete instrumental version of the whole album. Which is something nice to play in the background and relax with. Over all I think this a great album and has a real steampunk sound without being obtuse about it. My only real complaint is that it is two short and a little repetitive. I would have liked more tracks. You can buy a physical copy of the album at CDBaby or as MP3 at Bandcamp, which also has their first album for free. Which I suggest you do.